Over the course of 2014 the prices the world paid for crude oil tumbled from over $125 per barrel to around $45 per barrel now, and could easily drop further before recovering for a time to then begin the cycle of boom and bust all over again . You get the idea. In the end, the wild whipsawing of the oil market, and the even wilder whipsawing of financial markets, currencies, the rolling bankruptcies of energy companies, followed by the entities that financed them, then national defaults of the countries that backed these entities, will in due course cause industrial economies to collapse. And without a functioning industrial economy, crude oil would be reclassified as toxic waste. But that is a few decades in the future. In the meantime, the much lower prices of oil have priced most of the producers of unconventional oil out of the market. Recall that conventional oil (the cheap-to-produce kind that comes gushing out of vertical wells drilled not too deep down into dry ground) peaked in 2005 and has been declining ever since. To make the statistics look better, resources that aren't actually oil were counted as oil. Biofuels (ethanol and biodiesel) were counted without adjusting for the fact that the net energy (after subtracting the fossil fuels used in producing them) is quite small. Natural gas plant liquids, lease condensate (low-grade gasoline from gathered vapor) and “refinery gain” (volume expansion that does not add energy) were counted as well to make the numbers tell a better story. To be sure, there were some actual production gains as well. The production of unconventional oil, including offshore drilling, tar sands, hydrofracturing to produce shale oil and other expensive techniques, was lavishly financed in order to make up for the shortfall. But in spite of all these efforts, oil prices went up and stayed stubbornly high, hovering around $100/bbl. And then they dropped. Explanations for this abound, including some very interesting geopolitical theories. But the simplest explanation that may in the end prove sufficient is that consumers, when faced with the consequences of $100/bbl oil, eventually run out of money and their consumption drops. And if production isn't cut (and it isn't being cut for geopolitical as well as financial reasons) then a glut forms and prices collapse. Be that as it may, what we are left with is that at the moment most unconventional oil costs more to produce than it can be sold for. This means that entire countries, including Venezuela's heavy oil (which requires upgrading before it will flow), offshore production in the Gulf of Mexico, Norway and Nigeria, Canadian tar sands and, of course, shale oil in the US, are producing oil at a loss. All of these producers are now burning money as well as quite a bit of the energy they produce, and if the low oil prices persist, they will in due course be forced to shut down. An additional problem is the very high depletion rate of “fracked” shale oil wells in the US. Currently, the shale oil producers are pumping flat out and setting new production records, but the drilling rate is collapsing fast. Shale oil wells deplete very fast: flow rates go down by half in just a few months, and are negligible after a couple of years. Production can only be maintained through relentless drilling, and that relentless drilling has now stopped. Thus, we have just a few months of glut left. After that, the whole shale oil revolution, which some light-headed commentators thought would refashion the US into a new Saudi Arabia, will be over. 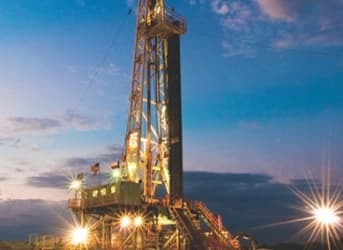 It won't help that most of the shale oil producers, who speculated wildly on drilling leases, will be going bankrupt, along with quite a few exploration and production companies and oil field service companies. The entire economy that popped up in recent years around the shale oil patch in the US, which was responsible for a lot of the growth in high-paying jobs, will collapse, causing the unemployment rate to spike. Of course, toppling the governments of all three of these petro-states, destroying them economically, “privatizing” their oil resources and pumping them dry free of charge using foreign labor would be just the shot in the arm the US needs. But, if you've been following along, it appears that the US doesn't always get what it wants, and of late hardly at all. Which recent US foreign policy gambit has actually paid off the way it was supposed to? I am drawing a blank. Anyone? And so, for now, all the oil producers are continuing to pump flat out. Some producers have the financial cushion to produce at a loss, and will do so to protect their market share. Other producers have already sunk the money into drilling the wells and have paid back enough of the loans while the oil price was high to continue producing profitably even at the lower price. Lastly, a number of producers (with Russia in the lead) can make a small profit even at $25-30 per barrel (if it weren't for taxes and tariffs). Each producer has a slightly different reason to continue pumping flat out. A lot has been said about the US and Saudi Arabia colluding to drive down the price of oil. But the collusion theory seems unnecessary, since they would be expected to behave in exactly the same way even without colluding. Perhaps the US and Saudi Arabia agreed to do together what they would have done just as well separately, perhaps not. But what's the difference? The US is making a desperate attempt to knock over a petro-state or two or three before its shale oil runs out, with the Canadians, their tar sands now unprofitable, hitching a ride on its coat-tails, because if this attempt doesn't work, then it's lights out for the empire. But none of their recent gambits have worked. This is the winter of imperial discontent, and the empire has been reduced to pulling pathetic little stunts that would be quite funny if they weren't also sinister and sad. Take, for instance, the words spoken by the US State Department's remote-controlled Ukrainian Prime Minister Yatsenyuk in Berlin recently: it turns out that the USSR invaded Nazi Germany, not the other way around! We are coming up on the 70th anniversary of the Soviet victory over Nazi Germany; and so there is no better time to do—what exactly? The Russians are confused. But the Germans took this howler on board and stayed mum, so score one for the empire! But a bunch of deluded people muttering to themselves in a dark corner, while the rest of the world points at them and laughs, does not an empire make. With this level of performance, I would venture to guess that nothing the empire tries from here on will work to its satisfaction. Russia is pumping the usual amount because there is really no reason to stop and plenty of reasons to continue. Russia is a low-price producer, and can wait out the US. Russia's greatest asset is not its oil but the patience of its people: they understand that they will go through a difficult patch as they scramble to replace imports (from the west especially) with domestic production and other sources. They can afford to take a loss; they will make it all back once the price of oil recovers. Because, you see, free (and even not-so-free) markets develop some pernicious characteristics when key resources, such as crude oil, start running short. Wild price swings are just one example. The pattern of investing in production when prices are high and failing to invest when they are low is another. (“Buy high, sell low” rarely makes a sound business strategy). Yet another is the blithe disregard we are witnessing for environmental concerns when attempting to get oil out of hydrocarbon dregs such as shale and tar sands. One almost wishes for a bit of central planning, to help oil producers and oil consumers slide down the slippery slope of production decline holding hands rather than fighting it out in the financial markets, or using it to fire up geopolitical conflicts. We are in a post-peak conventional oil world (it peaked in 2005), but by no means are we running out of oil. At $100,000/bbl no doubt someone would find it profitable to synthesize a bit of it out of seawater using sunlight; not much of it, mind you, but then you wouldn't be able to afford even that. So, we will never run out of oil, but we have already run out of cheap oil, no matter what the price is at the moment. Also, we have already run out of the money we need to continue consuming more and more of it. We are now running out of the money we need to keep producing more and more of it as well. But we will never run out of people telling us that market mechanisms guarantee efficiency and that, given a sufficiently loose monetary policy, healthy economic growth will resume. That's because fools, madmen and economists—unlike oil—are a renewable resource. Did Saudi Arabia Just Flinch? Mr. Dmitry Orlov, your opinion is quite thought-provoking. After seeing a lot of today's Russian perspective in what you are saying, I just had to do a little online research to see where you live and learn something of your political stance. Looks like you've moved from Leningrad to the West at an early age, and actively tread lightly on the earth as a proponent of green living. Now that I know something of your total view and national perspective, I feel like I know the context of your hard-hitting geopolitical views. I'll move directly to the point I wish make. We can choose the status quo and continue to heavily lean on such conflict-laden resources as oil, or we can lighten up on our energy and resource needs and stand a much better chance of long-term survival. I think that Mr. Orlov agrees that the U.S. does not want to be like Russia, and Russia does not want to be like the U.S. Downgrading the global oil habit will go a long way toward smoothing relations on planet Earth. Now, if only Americans can live less like Americans by lightening up on our enormous resource footprint. If only Russia can transition away from a one-sided reliance on petroleum production, and become more economically diversified. As it is, it's "all about" oil -- for both countries. That's got to change. No one gets ahead playing the fossil fuel card anymore. Oil used to make us feel good. It is an amazing and handy force-multiplier. Now it contributes too much to human conflict and bad ecology. Time to transition away from oil. Thank you for contributing to Oil Price, Mr. Orlov. Wow! Someone finally said it. Strongly agree with the statement "Russia's greatest asset is not its oil but the patience of its people"....Though it would be not true to say that all the russians will suffer from the slow sink of th? Leviafan...those russians that manage to move their lives away from this sinking ship will manage to mitigate the blow though still being moraly oblidged to trasnfer some money to their relatives in RF. So RF citizens will be under pressesure - no doubt about that...though it's same old looking at the previous century , with the new century will not be easier for them...majority of RF russians are decent people deep inside..unfortunatelly majory never mattered in RE/SU/RF...so as RF citizens are free to go to bed with rubber dll of putin aside, riding tanks abroad is totally different story and should be imminatelly reversed..low oil prices will help to help the RF establishment to back off..
1) look at the NA rig count...drilling has far from "stopped". 2) The author totally confuses Production costs from finding and development costs. 3) The author confuses the role of politicians vs private parties. The U.S. government or Canadian government does not own the oil production, did not invent or fund the development and has little control over the volumes produced. These are based on individual company investment decisions. In Russia, this is a different matter as Putin controls all. 4) Most importantly, Russia and OPEC combined production is about 42 million barrels per day. The world will use close to 92 million barrels per day. The balance comes from "high cost" production. 5) To keep that last 50 mmbbl/d flowing requires something on the order of $400 billion per year of global upstream investment. This will continue for probably the next 50 years and the current situation is barely a blip. 6) The world is currently 1 million bbl/d (1.1%) oversupplied. Remove the last few marginal barrels and we are back in balance. Or demand grows. Most likely both occur. Simple as that. "They [US-Saudi] couldn't organize even a single terrorist action to disrupt the Sochi Winter Olympics in Russia." This sentence tells all we need to know about the author. "Add to that the US-Saudi joint venture to destabilize Russia by fomenting terrorism in Northern Caucasus which has completely failed. They couldn't organize even a single terrorist action to disrupt the Sochi Winter Olympics in Russia. (Saudi Arabia's Prince Bandar bin Sultan, a.k.a. “Bandar Bush,” lost his job over that fiasco.)" It does sound a bit heavy on visceral reaction. I'm thinking that Mr. Orlov thinks the Western World knows not what it all does that antagonizes the rest of the world. Not sure if Russia does the same, in his eyes. I'm guessing that Mr. Orlov mostly thinks that we all need to lighten up on power politics and power from fossil fuels. All of the above is very interesting, and I don't dispute the main facts. Could you please update it to reflect that this is now March 2018. There are lots of out of date articles on the subject. Many people believe that better technology will save us from peak oil and such. All advanced technology does is to allow you to accelerate the rate of depletion. Better oil technology does not create a single drop of oil. Ponder that thought.